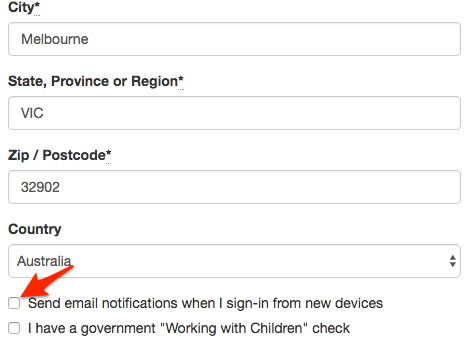 Why does a User receive emails about a sign-in from a new device? 'Sign-in from a new device' emails are a security feature to inform users that their account has been accessed a different way. It offers the user an opportunity to review whether their account has been compromised. Users often trigger these emails themselves. You may have been using a browser like Internet Explorer and changed to Google Chrome. Your browsing history or cookies may have been deleted. Browser may have been updated - some browsers have automatic updating. Change in internet provider (i.e. Bigpond to iinet). Log in from another country. Change in computer platform (i.e. Mac to Windows). Please note that sometimes, these email notifications are being sent by the system by mistake. Reason being is that the information, commonly known as “cookies” in your computer or mobile device when you access the site is not always being saved. You can verify if your account has been opened on a new device by checking the “Recent Sign-Ins" on your CareMonkey homepage. Please check if the information saved there matches with actual times that you have logged in. 1. Log in to your CareMonkey account. 2. On the top of the page, click on My Account and select Recent Sign-Ins. 3. You will see a list of your recent sign-ins, including the date, time, platform, browser, country, sign-in method, status, and device ID (a specific ID generated by the system for your device). 4. If the details shown on the sign-in page are the same with the information included in the email you've received, there’s nothing to worry about. 1. On the top of the page, click My Account and select Edit My Account. 2. You will be redirected to the My CareMonkey account details page. Untick the Send email notifications when I sign-in from new devices box. 3. 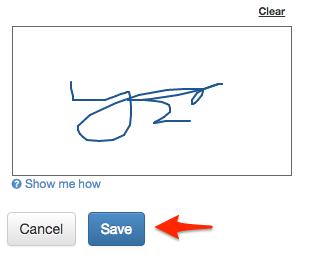 Click on the Save button below your signature.